Republicans are expected to pick up seats in the Senate, but Democrats might win back a majority in the House, though it could be fewer seats than projected. There are dozens of tight races to keep an eye on Tuesday night. The Daily Caller News Foundation wrote up a list of the races to watch on Nov. 6. Polling locations for the 2018 midterm elections are just hours away from opening, and both Democrats and Republicans are gearing up for some extremely tight races across the country. According to a majority of polls, Republicans are expected to lose control of the House but keep control in the Senate after the Nov. 6 midterm elections. However, there is growing speculation that Republicans could be more successful than polls suggest. In the Senate, there are six seats that are currently listed as “toss-up” elections, four of which belong to current Democratic senators, according to Real Clear Politics (RCP). Republicans need to maintain 51 seats in the Senate in order to keep their majority. Five of the candidates in those “toss-up” Senate races are incumbents, including Democrats Jon Tester of Montana, Bill Nelson of Florida, Joe Donnelly of Indiana, Claire McCaskill of Missouri, and Nevada Republican Sen. Dean Heller. The Senate race in Arizona is also listed as a toss-up, as Republican Rep. Martha McSally is running against Democratic Rep. Kyrsten Sinema for GOP Sen. Jeff Flake’s seat, who announced in October 2017 that he would not seek re-election. In Missouri, Republican Attorney General Josh Hawley has a two-point lead over McCaskill. The Democratic incumbent faced criticism recently over an ad that says she’s “not one of those crazy Democrats.” McCaskill also was using a private jet while she said she was on an RV campaign tour of the state. In Indiana, Donnelly is also behind in the polls against his Republican opponent, Mike Braun. Donnelly has portrayed himself as a moderate Democrat but voted against President Donald Trump’s Supreme Court nominee Brett Kavanaugh — which Braun believes helped him in the polls. Florida Republican Gov. Rick Scott is in a tight race with Nelson, as he is trailing by just two points. Scott has attacked Nelson for failing to pass legislation in the Senate and has criticized him for the way he handled the Kavanaugh nomination process. Texas Democratic Senate candidate Rep. Beto O’Rourke, who is running against incumbent Republican Sen. Ted Cruz, has raised over $69 million to try and secure a victory in the red state. However, O’Rourke remains down by over six points despite the historic fundraising numbers. In Mississippi, Republican Sen. Cindy Hyde-Smith is running against Republican Chris McDaniel, as well as Democratic candidate Mike Espy, creating a three-way race. Whichever Republican receives the most votes Tuesday night will go on to run against Espy in a Nov. 27 runoff election. New Jersey Democratic Sen. Bob Menendez faces a tough race against his Republican opponent Bob Hugin. Hugin and Menendez’s race is tighter than expected in the deep blue state. Menendez was ahead in the polls by over nine points as of Monday, according to (RCP). As of Monday, Sinema is leading McSally by 1.2 points, according to the RCP average. Montana is another state to keep an eye on, as Democratic Sen. Jon Tester is in a tight race against Republican state auditor Matt Rosendale. Tester, who has been in office since 2007, has faced criticism for voting against Supreme Court Justice Brett Kavanaugh. Tester is up over 4 points, the RCP average showed Monday. Republican Sen. Dean Heller also is in a tough race in Nevada against his Democratic opponent Rep. Jacky Rosen. As of Monday, Rosen is leading Heller in the polls by just over one point, according to the RCP average. Heller has been a member of the Senate since 2011. 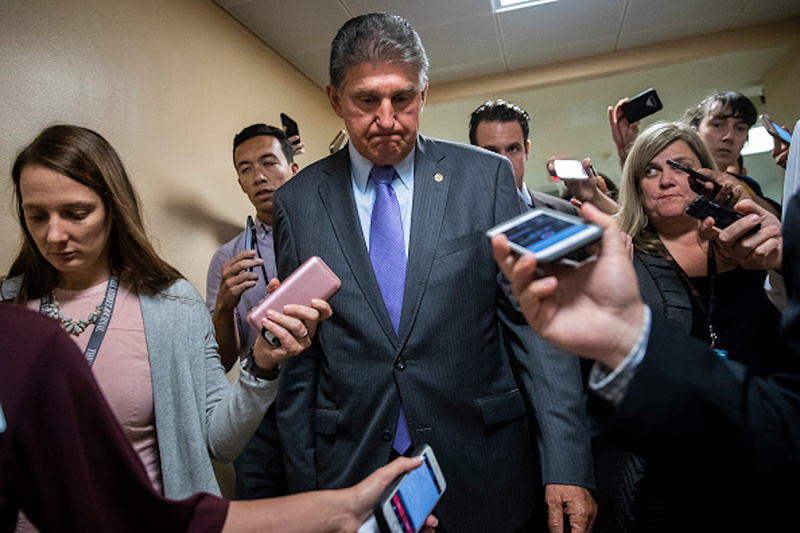 In West Virginia, Democratic Sen. Joe Manchin is in a highly-contested race against state Attorney General Patrick Morrisey, even after breaking with Democrats and voting “yes” for Kavanaugh. Trump has called out Manchin for “voting against everything,” mentioning his “no” vote on tax reform. In the House, there are 32 seats that are listed as “toss-up” elections. Democrats must pick up at least 23 seats in order to get to the 218 seats needed for a majority. GOP Virginia Rep. Barbara Comstock is in a tight race in the commonwealth’s 10th district against her Democratic opponent Jennifer Wexton. 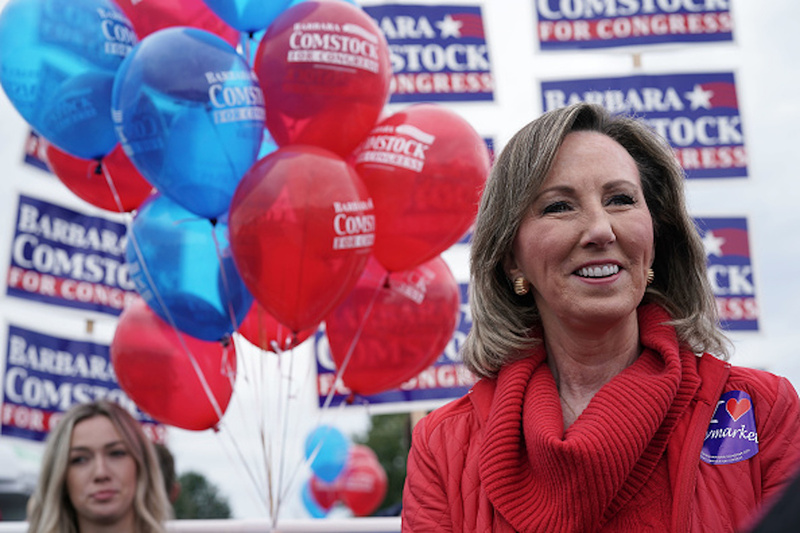 Comstock, who is seeking a third term, was down in a recent October 25-28 poll by at least 11 points. The loss would give Democrats another seat in the House. Another race to watch in Virginia is in the 2nd congressional district. Republican Rep. Scott Taylor is in a tight race against his Democratic opponent Elaine Luria. Trump won the district in November 2016. RCP has the race listed as “leans GOP” as of Monday. In Ohio’s 12th district, Republican Rep. Troy Balderson is expected to be in a close race against his Democratic opponent Danny O’Connor. Balderson won a special election there this year against O’Connor and will now face a rematch Tuesday. Polling shows the race as tied just one day out. Kentucky Republican Rep. Andy Barr is running in a close race against his Democratic opponent, retired Marine pilot Amy McGrath, in the 6th district. Barr received an endorsement from Trump and polls show the race “leans GOP.” However, the race is closer than expected and McGrath has a chance to flip the seat. In Georgia’s 6th Congressional District, Republican Rep. Karen Handel faces Democrat Lucy McBath. Handel, who won a special election in 2017, is now two points down in polling, hours before the election. Handel made headlines after defeating Jon Ossoff by four points in a special election last year after Ossoff racked up record-setting fundraising numbers. In Florida, the gubernatorial race between Republican Rep. Ron DeSantis and Democratic Mayor Andrew Gillum is neck-and-neck. Less than 24 hours before the race, RCP puts Gillum up just over 3 points. Gillum is up in the polls despite rumors of an FBI corruption investigation and allegations he accepted tickets to the musical “Hamilton” from an FBI agent. Iowa also has a close gubernatorial race, as Democratic candidate Fred Hubbell takes on Gov. Kim Reynolds. Many polls have Hubbell up by just over a half a percentage point and well within the margin of error. The race is very important as Sen. Chuck Grassley, 85, said a Democratic Iowa governor would appoint a Democrat to succeed him in the Senate if he undergoes any health problems while serving. The Georgia gubernatorial election, where Democratic candidate Stacey Abrams is taking on Secretary of State Brian Kemp, is also a close one. 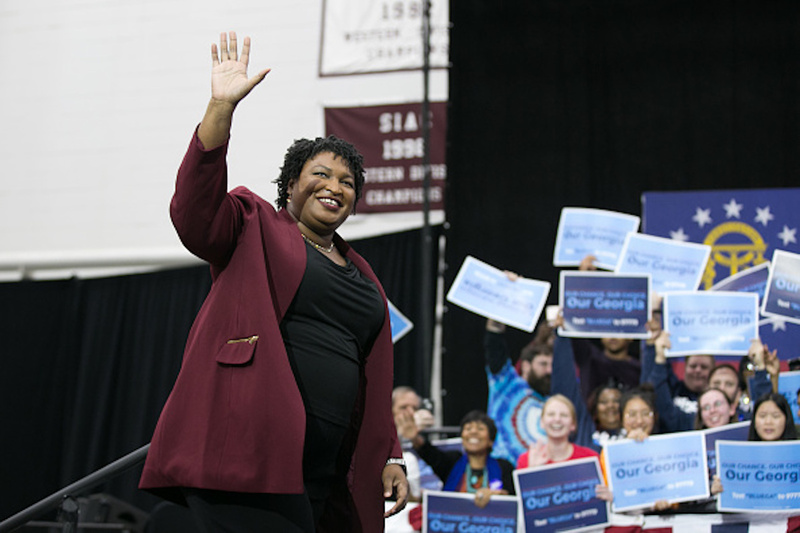 Abrams faces a tight race against Kemp, as she has taken heat for saying the alleged “blue wave” Democrats are expecting in the 2018 midterm elections is filled with “documented and undocumented” voters. In Minnesota, Democratic Rep. Keith Ellison is sitting behind his Republican opponent Doug Wardlow for attorney general by a seven-point margin. 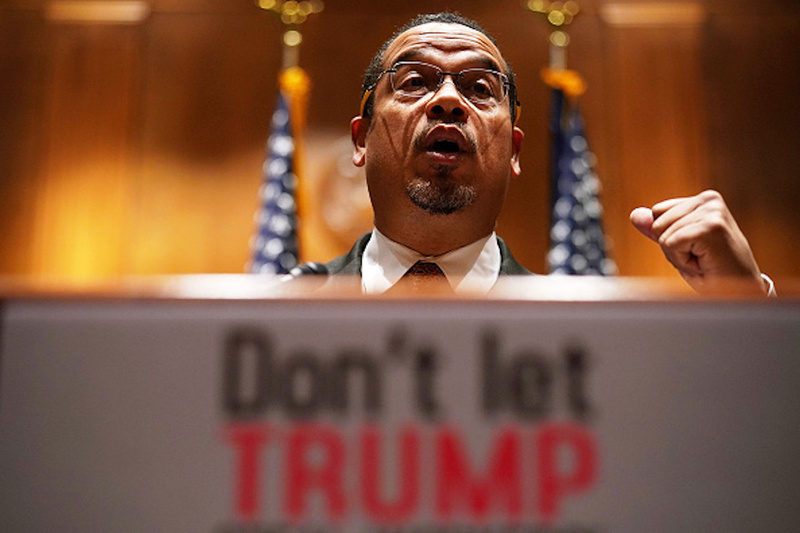 Ellison, who also serves as deputy chairman of the Democratic National Committee, sits at 36 percent compared to Wardlow’s 43 percent, according to a Star Tribune/Minnesota Public Radio (MPR) poll released on Oct. 23. This represents a massive change, as Ellison led Wardlow by around five points as of Sept. 19, according to an earlier Star Tribune/MPR poll — meaning there was a 12-point shift in just over a month.